We can support you with your expansion into Germany! 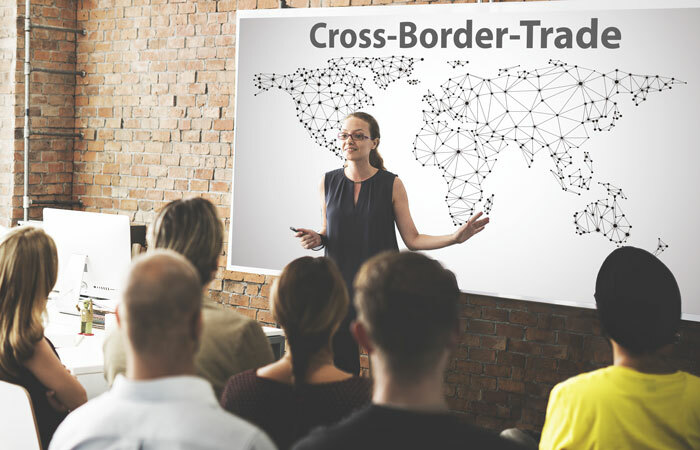 The term Cross-Border Trade (CBT) comes from e-commerce, and is one of the most popular topics in the branch. We’re talking about international trade, which has great potential, but also a few challenges as well. Many retailers are not yet ready to trade internationally because there are too many uncertainties about the target market. The Händlerbund can ease your fears and help you through this important step in business. Beforehand, you should inform yourself on the conditions of the German market – challenges like consumer behaviour, logistics, language barriers, payment methods and legal conditions to learn how your business fits. The language barriers and laws often lead to online retailers abandoning their expansion to Germany. That can now be a thing of the past since the Händlerbund can take care of the general conditions. We offer competent support throughout the entire process to ease your entry into the market. Cross-Border-Trade – Sales in Germany made easy! Yes, I need legal protection. Yes, I need multi-lingual customer service. Yes, I am interested in Search Engine Marketing. Every website is different. We make every effort to give you an individual and fair quote. Please fill in the following fields. (*) Mandatory Fields. All other information is voluntary. Your data will be securely transferred and confidentially handled.